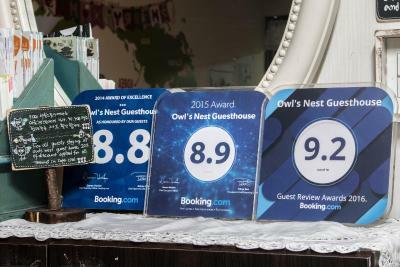 Lock in a great price for Owl's Nest Guesthouse – rated 9.2 by recent guests! Actual appearace is the same with a picture! The staff is very kind and friendly. All facilities and amenities are excellent and are beyond my expectation. The quality of cleaness is perfect for me. It has good location for transportation system like bus, subway. I was fully satisfied with my 1 night in owl's guest house. I'm going to visit again if I have a chance to stay around Gangnam station or Shin Nan Hyun station. I strongly recommend it! The staff is great and it is very well located. You can check in up to 11:30 pm which makes it very convenient. The facilities are also clean. I have been to many guest houses and this one was a good experience! The location was great. It was simple and clean. There are a lot of restaurants in the area. The couple who run it were very nice and even saved the rings that I left in the shower (I came back for them several hours after checking out). The staff (family owned) was super friendly. It felt very homey. I LOVED the bed! Surprisingly, the bed was so comfy! The guesthouse was very clean. I love the kitchen area. It has a nice community feel. I loved all the owl touches. It was an adorable guesthouse! I was on the upper bunk bed and it was super sturdy. I didn't wake up my downstairs bed mate. Very friendly and helpful staff. A gem of a place. The bed was very comfortable! Everyone there was lovely and made us feel at home! Owl’s Nest is a great find. Great location (short walk from the train stop), really comfortable beds (didn’t wake up once), and an adorable cafe. I highly recommend this guesthouse. It was cozy and staff were accommodating and communicated well in English. 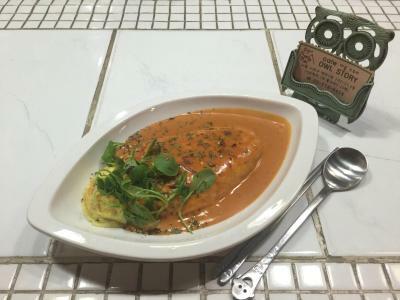 One of our best sellers in Seoul! 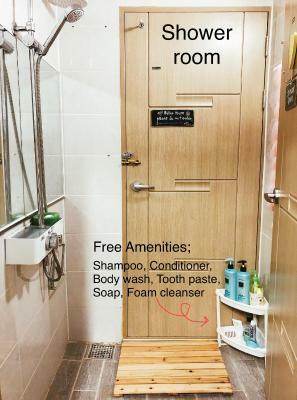 Owl's Nest Guest house is located a 10-minute walk from Gangnam Subway Station (Line 2) and offers affordable private and dormitory rooms. The guest house offers free WiFi access and breakfast can be requested on-site at a surcharge. 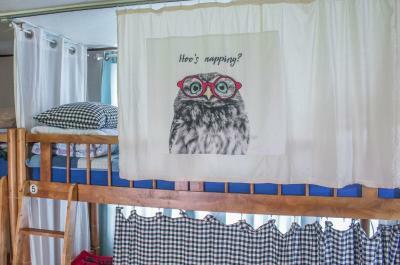 All rooms at Guest house Owl’s Nest are equipped with air conditioning and bunk beds. 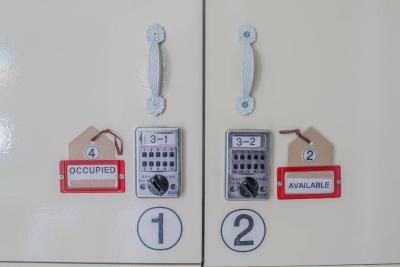 A personal locker, linens and towels are provided for every guest. Toilets and bathrooms are shared, while free toiletries and a hairdryer are provided. 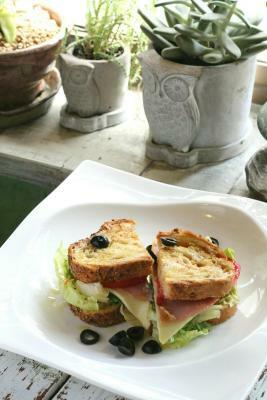 Guests are enjoy their meals and socialize in the shared lounge and kitchen areas. The property offers free luggage storage and private on-site parking. 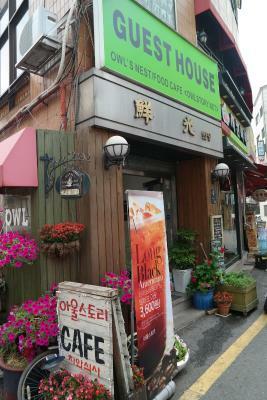 A pick-up service from Sinnonhyeon Bus Stop or Sinnonhyeon Subway Station is also provided. 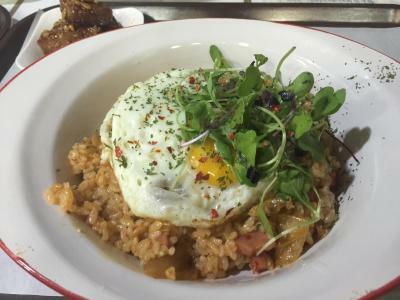 Owl’s Nest Guest house is located a 5-minute walk from Sinnonheyon Subway Station (Line 9), in an area full of shops, cafés, restaurants and bars within walking distances. 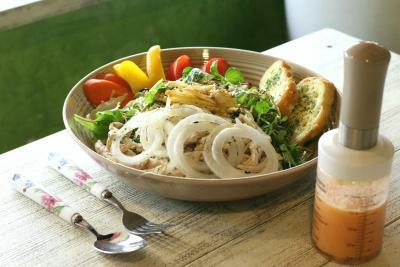 It is a 15-minute drive from popular Garosu-gil and a 20-minute drive from Banpo Hangang Park. Seocho-Gu is a great choice for travelers interested in convenient public transportation, food and cafes. When would you like to stay at Owl's Nest Guesthouse? 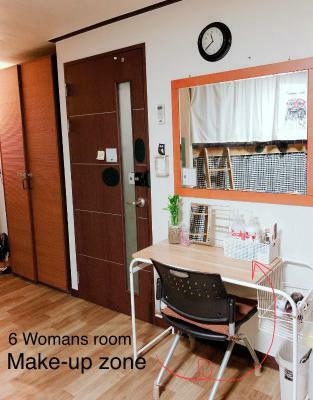 The rate is for 1 person in a dormitory room that accommodates up to 4 guests. Each bed comes with a cubicle curtain and a personal shelf. 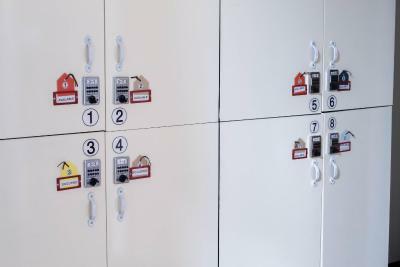 The room includes a mirror, a comb, an air freshener and personal lockers. Private parking is available on site (reservation is needed) and costs KRW 12000 per day. This air-conditioned room is fitted with a mirror, a small desk and a small fridge. Bathroom and toilet are shared. Area Info – This neighborhood is a great choice for travelers interested in convenient public transportation, food and cafes – Check location Excellent location – show map Guests loved walking around the neighborhood! 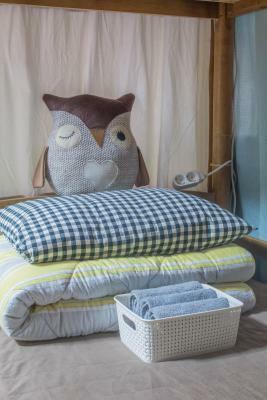 House Rules Owl's Nest Guesthouse takes special requests – add in the next step! Owl&#39;s Nest Guesthouse accepts these cards and reserves the right to temporarily hold an amount prior to arrival. Owl's Nest Guesthouse accepts these cards and reserves the right to temporarily hold an amount prior to arrival. The bathroom and shower room were a bit small, not a lot of space to lay beauty cases or just clothes when changing after the shower. The beds were really comfortable. I also really liked the swing chair in the room, and the box for personal items on each bed. The room was also really spacious, so we didn't get into each other's way, and there was plenty of space to unpack, repack etc. Very sweet owner! She waited for me even though I was arriving late. Taking off clothes and hanging up in the small bathroom for having a shower was a bit complicated. I was afraid, all my clothes would get wet. Maybe a plastic curtain would be useful to keep clothes dry, or something. The host said to uncloth there, and not come with only a towel from the dormitory. Guess the only downside was the bathroom has no ventilation available and becomes really steamy very soon. Nice staff and not bad location. A pretty convenient location in Seoul... With lots of restaurants and entertainment options available within walking distance. Also a nice place to stay for concert goers as Olympic park can be reached within 30 minutes by express subway. Nothing! I'm sorry I didn't get a chance to eat at the cafe. 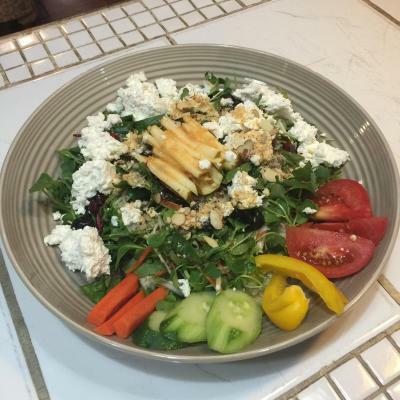 I'm vegetarian and their ricotta salad looks amazing! The guesthouse is pretty close to Olympic Park so it's perfect for when you want to stay after a concert. The staff is really friendly and accomodating! It's very cosy and clean. It's like a street down from the subway station and a really big Kyobo/Hottracks. I highly recommend this place! Like in any guest house, it happens that some guests aren't very respectful of your sleep. The cafe was limited in its food options. Some snacks or light bites would be very welcomed! Although the bathrooms were in separate cubicles, the entrance to the male and female bathrooms is incredibly small and with only one sink, so you can expect to wait in order to use the sole bathroom during peak times. I loved the Owl theme running throughout the rooms. It made the place feel quaint and homely. The cafe was very cute and served delicious drinks (do try the pumpkin latte). The staff were friendly and able to speak English well. I felt secure in staying in the female dormitory with the keypads. Clean, comfort, good value for money! Plus the owner is pretty nice! The breakfast was amazing! The owners are very lovely people. :) The location is just great, few minutes from metro station! The owners are friendly. They helpt me a lot. It was a homy atmospher. 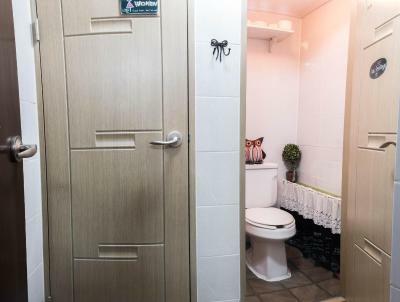 The bathroom is clean, but the toilet room is very small. so it is a little hard to use the bathroom, haha. This wasn't a big deal, though. Because the guesthouse used to be an apartment, there's only one shower! 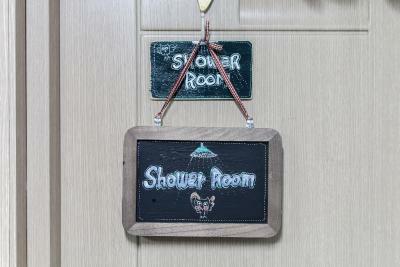 Although the guesthouse only has three rooms, having another shower would be amazing. I was in the dorm room. I was only there for the weekend so I couldn't try the cafe downstairs. I was bummed. They're closed on Sundays. The girl below me was super loud at midnight for an hour. Not the guesthouse fault, but not sure why people are inconsiderate when others are trying to sleep. Normally I don't like dorms but I heard good things about this place and wanted to check it out. You can't beat the price!